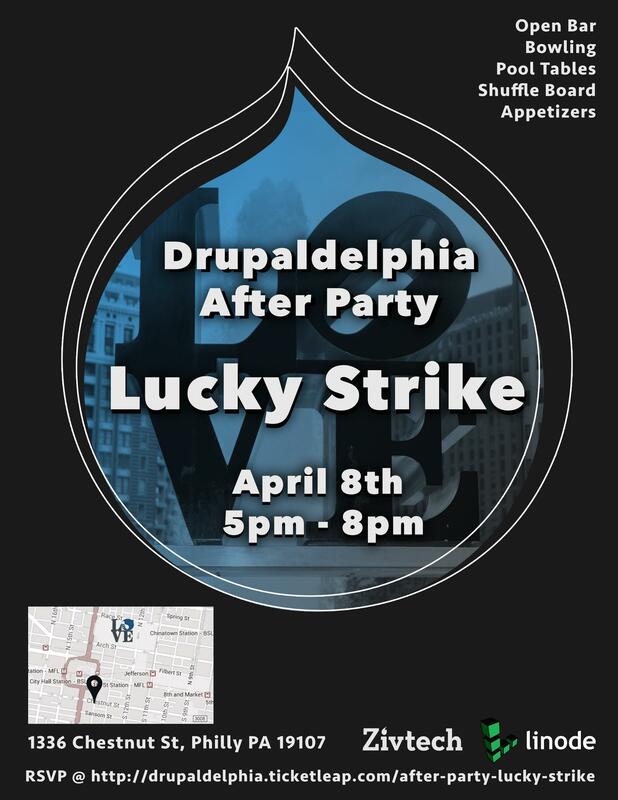 Come celebrate with us after the 2016 Drupaldelphia Conference at Lucky Strike. * Open bar is for the first 65 guests. RSVPing to this event does not guarantee a wristband for the open bar. The event is 21+.